This exhibition explores Miyakobashi Yokocho in drawings, photographs and text. 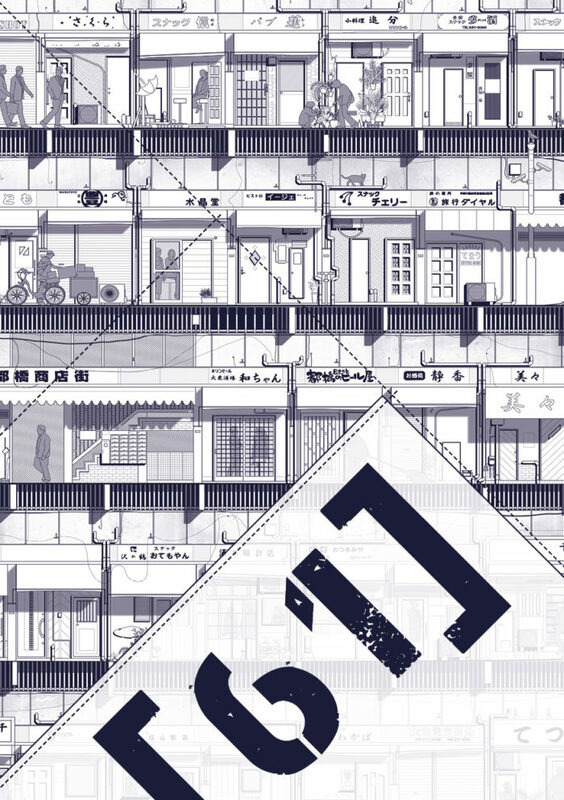 It reveals previously concealed glimpses into Japan’s changing urban culture. Miyakobashi Yokocho (Yokohama, Japan) is home to sixty-one lift-sized spaces: ‘sunakku’ (snack bars), frequented by business men, local residents and the occasional tourist alike. Constructed in 1964, just in time for Tokyo’s last Summer Olympics, Miyakobashi Shopping Centre transformed a formerly cluttered black market area into an orderly urban marketplace. Over several decades, courageous women created independent livelihoods for themselves in converting Miyakobashi into the vibrant entertainment block it is today. The narratives of Miyakobashi clients and proprietors provide an intimate account of small-scale urban transitions and synchronous cultural and social change; they expose the difficulties (and successes) faced by contemporary Japanese women; and they put into perspective current efforts to redevelop this along with similar urban areas in view of Tokyo’s forthcoming Summer Olympics 2020. It builds on research in Yokohama, Japan, and was funded by the Daiwa Foundation, the Great Britain Sasakawa Foundation, the University of Manchester and the Manchester Metropolitan University. This event is part of the University of Manchester’s JustFest 2016. Sign up here to get a personal introduction to our research project ‘Harmonica Alley, Yokohama: a visual ethnography’.